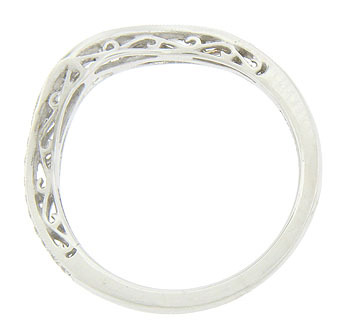 These curved antique style wedding bands are crafted of 14K white gold. 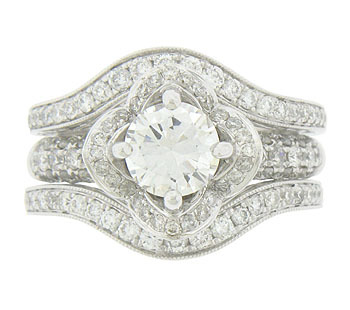 Diamonds are set on the top portion of the curved bands and a cutaway scroll design decorates the sides. 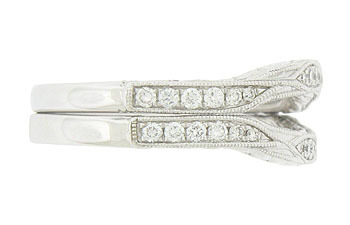 The curved wedding bands are shown with R3158 (sold separately). The wedding rings measure approximately 2.85 mm wide at the top. Size: 6 1/2. We can re-size. 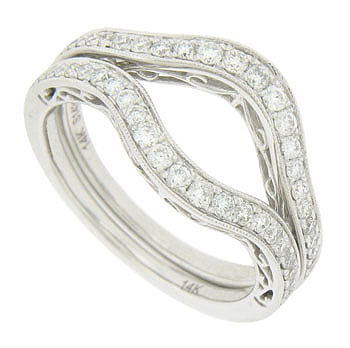 The bands are frequently purchased as a set for $1680.00 but they are also available individually.